The online edition of the Spring issue of TOS has been posted to our website; the print edition will be mailed in the first week of April; and the e-book and audio versions will be accessible to subscribers beginning March 25 and 30 respectively. Surveys the metaphysics, epistemology, ethics, and politics of these two creeds, showing, at each level, that only one of them corresponds to observable reality. 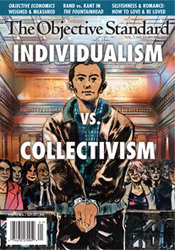 Examines these opposing philosophies in the story, characters, and theme of Ayn Rand’s great novel. 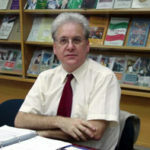 Boaz Arad, a founder of and spokesman for the Israeli Freedom Movement, discusses the inception, activities, allies, and successes of the Israeli equivalent of the Tea Party movement. Drs. Ellen Kenner and Ed Locke discuss their new book The Selfish Path to Romance: How to Love with Passion and Reason, covering ground from how altruism destroys relationships, to why people settle for less-than-ideal partners, to how to ask your lover to experiment sexually. 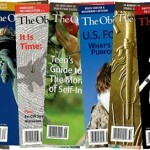 If you’ve not yet subscribed to TOS, you can do so online or by calling 800-423-6151. The journal also makes a great gift for your active-minded friends and relatives. Subscriptions start at just $29 and are available in Print, Online, E-book, and Audio editions, so you can enjoy the articles as you see fit. 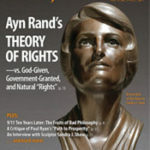 Also, be sure to visit TOS Blog—the source for daily commentary from an Objectivist perspective. 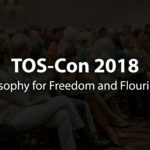 You can now watch and share TOS-Con 2018 videos on YouTube! TOS’s 10th Anniversary Sale—SAVE 30% Now!